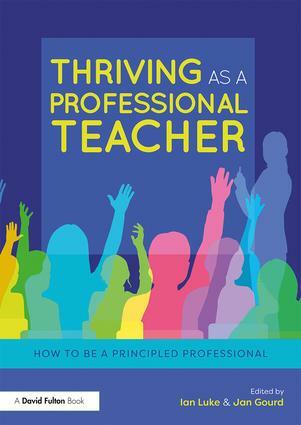 Thriving as a Professional Teacher explores the tensions and balance between developing the classroom you know will be best for the children you teach, and facing external pressures such as Ofsted, performance management, Teacher Standards and the need to prepare children for SATs and other tests. examining the impact of globalisation on educational practices. With case studies, opportunities for reflection and clear chapter summaries woven throughout, Thriving as a Professional Teacher will help you to form a sustainable identity and to create a teaching and learning environment in which both teachers and students can thrive. It is an essential read for both trainee and practising teachers. The global professional –educational futures in the making?